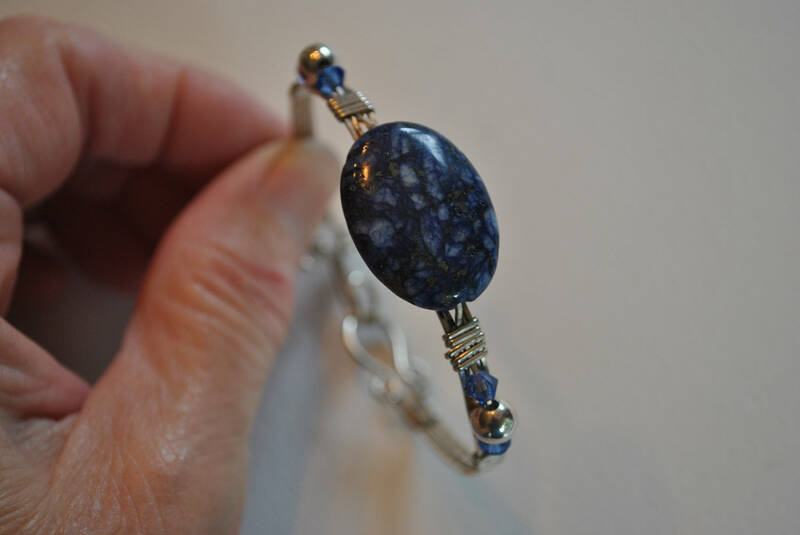 This lovely Blue Sodalite stone bracelet is wire wrapped in sterling silver. 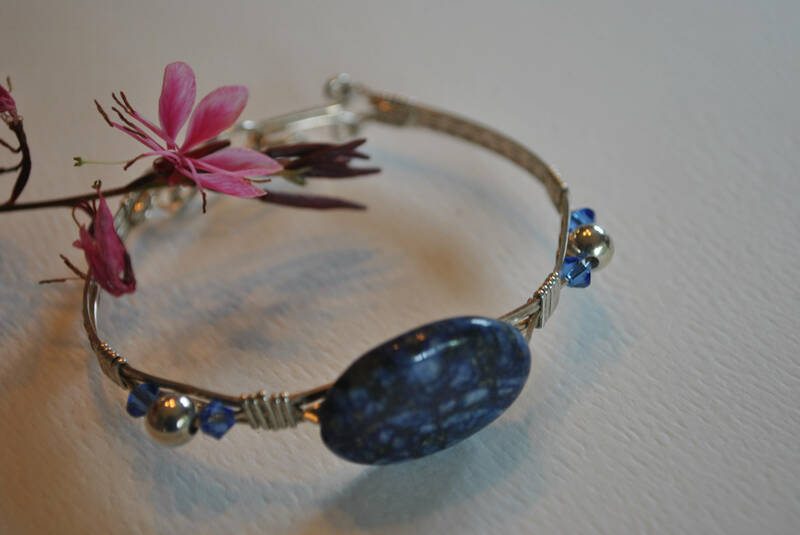 A gorgeous blue stone with beautiful markings is the focal with sterling beads and blue Swarovski crystals. 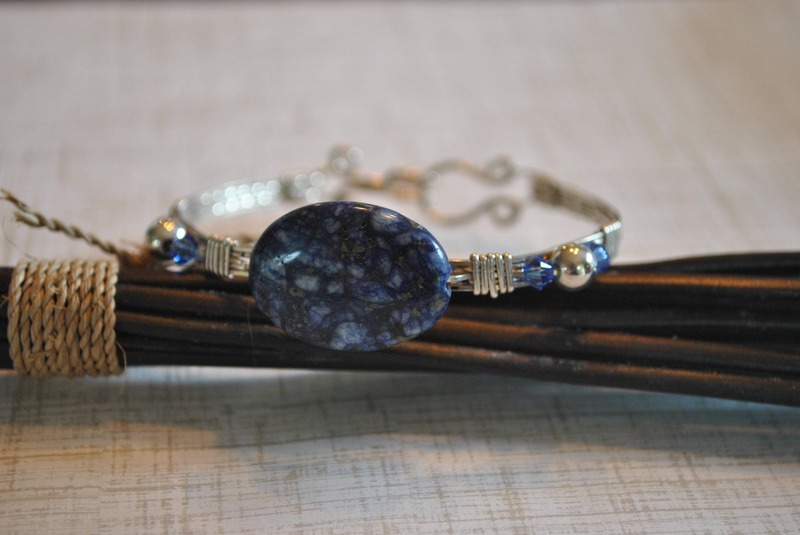 My wire wrap bracelets are completely handmade. I use no solder or glue and each begins as a simple piece of wire. 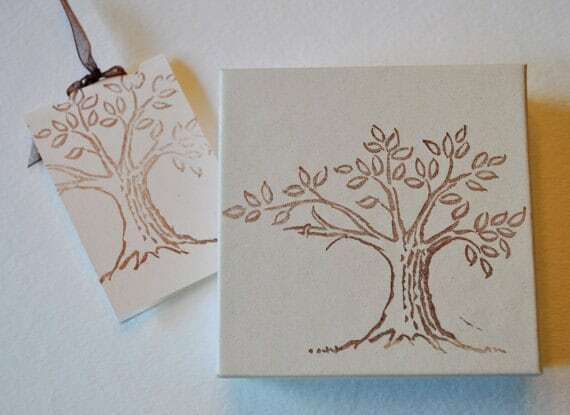 Even the 'filigree' wire in the pattern is hand twisted. Each piece is one of a kind.